You might already be thinking about getting your hands on a Kindle Fire, and you’ve got plenty of reasons to be thinking about just that. 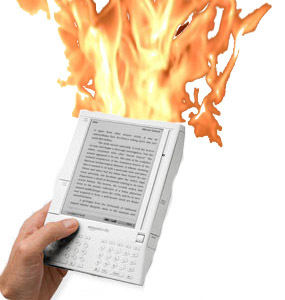 But are there reasons to stay away from the Kindle Fire? Turns out there are indeed. And it’s something you’ll need to consider before you pull the trigger on that upcoming new tablet purchase. This is not a high-end tablet. Plain and simple, it’s going to be outclassed in terms of hardware by many, many different models, so if you’re looking for a possible laptop replacement you’re not going to find it here. And moreover, the resolution on the Kindle Fire’s screen is actually pretty lower-end, averaging about the same pixel density–1024 x 600–as a Blackberry PlayBook. 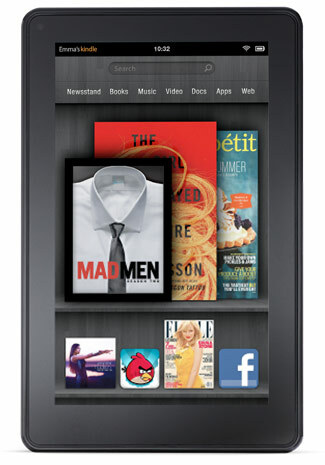 That’s going to hurt for things like video, which is set to be a major part of the Kindle Fire. And it doesn’t help that most of the Kindle Fire’s storage is cloud-based, which requires you to have an active Internet connection to access your own material. But then, these negatives are somewhat mitigated by your use of the tablet. While this is clearly not a power tablet, it should do reasonably well for the very basics of media, like reading, music and video. Consider it a media player, and you’ll likely do much better than you might expect. And of course, if you happen to be budget sensitive as so many people are these days, then you’ll appreciate the comparatively low price tag. Many have even gone so far as to suggest that the Kindle Fire was never really meant to tackle the likes of the iPad, but rather was meant to serve as a companion to a full tablet. This actually makes sense as Amazon’s clear purpose behind the Kindle Fire–leading to even Amazon losing money on each one they sell–which is providing easy access to media, the kind of media that Amazon sells. While there are plenty of negatives associated with the Kindle Fire that you’ll need to consider before you lay down your cash to pick one of these up, some of them may prove to not really be negatives at all. It’s really all a matter of what you plan to use it for, and if you’re planning to use it mostly for media, then you’ll do pretty well here. But for business use, or presentations, or the like, then you’ll definitely be wanting something with a little more muscle. Pingback: Is The Acer Iconia W500 Worth It For Your Small Business?